Margot Robbie, Emma Stone and Lily James have all stepped out in Jimmy Choo's 'Minny' sandals. 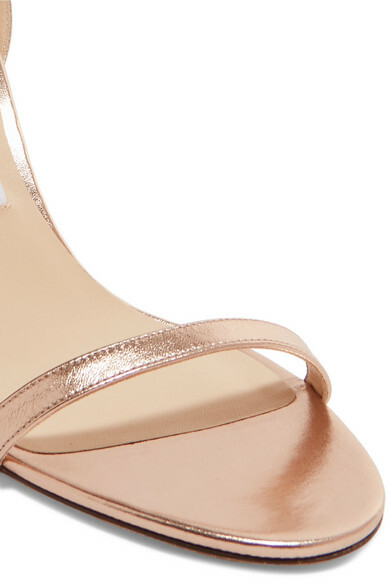 Made in Italy from gold leather, this minimalist pair is perfect for seeing you through wedding season. If you love the shape and heel height, don't miss them in black and antique-rose. Shown here with: Magda Butrym Dress, Bienen-Davis Clutch, Jennifer Fisher Earrings, Paola Vilas Ring.